House Democratic leaders are refusing to apologize for the confusion caused when millions of Americans received health insurance cancellation notices as a result of the Affordable Care Act, even after President Barack Obama's contrite press conference on the matter and a clear statement of apology last week. Shortly after Obama announced Thursday that he would unilaterally extend by one year the period in which insurers could offer insurance plans that do not meet new quality standards, Democrats moved to defend the “keep your plan” line. 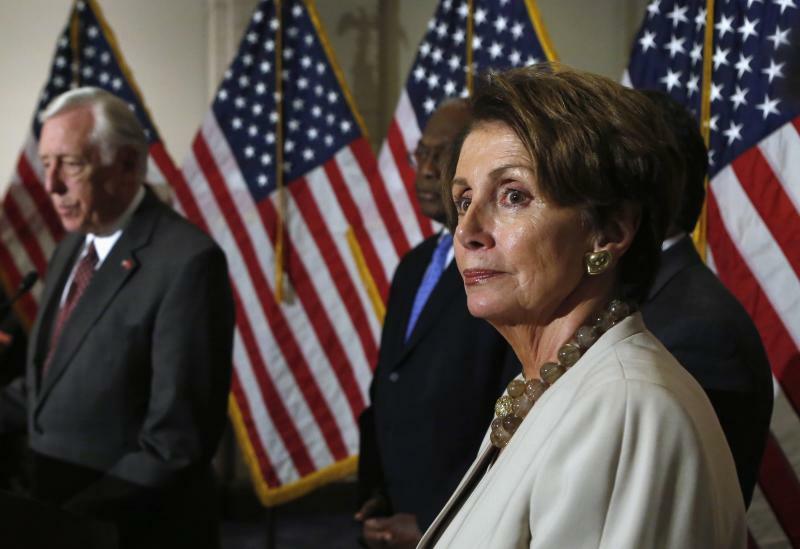 Speaking to reporters on Capitol Hill,the top four House Democrats — Minority Leader Nancy Pelosi, Assistant Leader James Clyburn, Whip Steny Hoyer and House Democratic Caucus Chairman Xavier Becerra — were asked if they would apologize to any constituents who felt misled by Democrats. Each declined. “I don’t think there’s anything for us to apologize for,” Clyburn said after explaining that once enough Americans switch to exchange-based insurance plans, they will appreciate “what they did not have” through their prior insurance plans. The president has faced a national uproar after insurance companies sent out millions of cancellation notices that will go into effect at the beginning of the next year. Under the Affordable Care Act, companies are required by law to provide a certain standard of coverage. Plans that do not meet that standard would not be continued. But Obama on Thursday announced that he would delay the standard-of-coverage mandate for a year to give people more time to seek new plans. Pelosi, Hoyer and Becerra echoed Clybrun’s response at the press conference and said that Obama had done the right thing by allowing more time. Hoyer added that the law didn’t force insurance companies to extend plans, but that people interpreted the Democrats’ “keep your plan” talking point incorrectly. Although the president contends that he can mandate the change through executive action, House Republicans and Democrats plan to vote Friday on their own legislative proposals that would allow Americans to keep their plans. Both votes will be symbolic: The Republican plan is expected to pass the House with at least some bipartisan support, but will die in the Senate. The Democrats intend to file for a motion to recommit on their bill—a strategy traditionally used by minority parties to give their members an opportunity to cast a vote on their bill if the majority won’t give it floor time. With election season less than a year away, vulnerable Democrats hope that the new “fix” can alleviate at least some of the anger over the sticker shock of the new law.